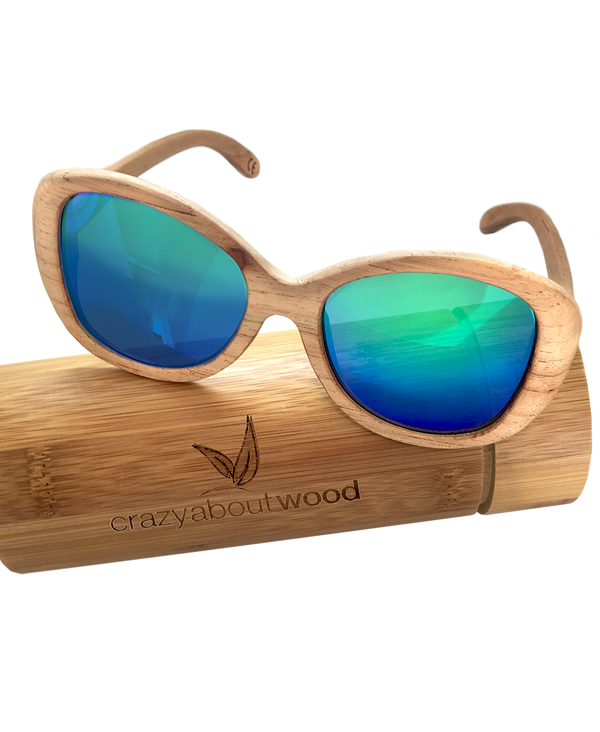 These Spring bud wooden sunglasses with blue & green revo polarized lens and UV protection are incredibly striking. The warm tones of the wood contrast beautifully with the vibrant mirrored lenses. The lens colour alternates between blues and greens depending upon the light and position – a lovely feature of these stunning sunglasses. 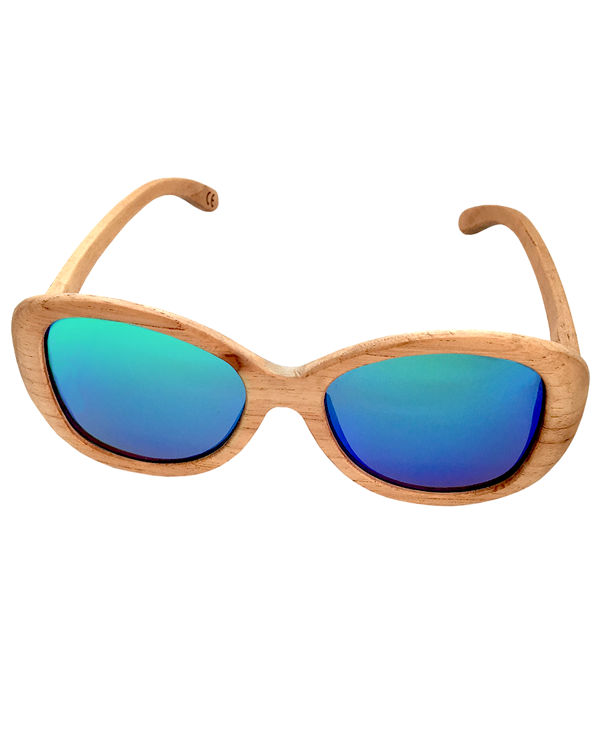 Incredibly lightweight to wear, these natural wood sunglasses are a fabulous fashion accessory for the summer season. 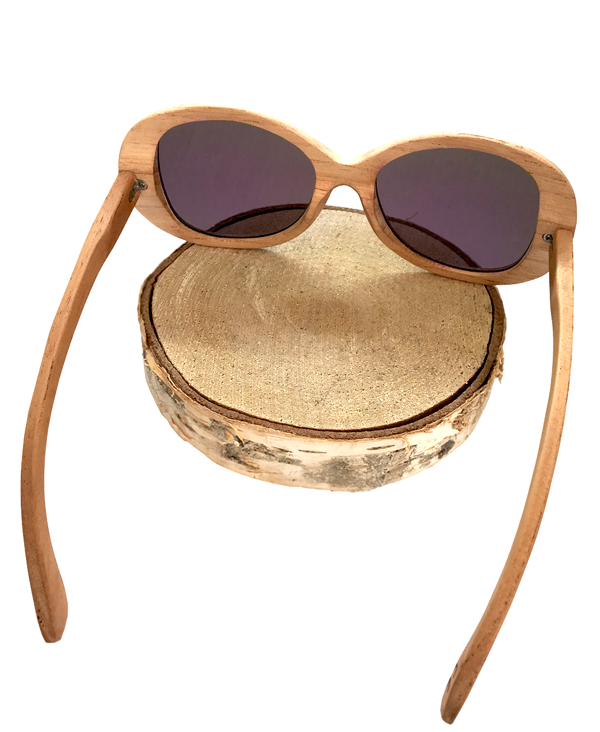 Sunglasses come with wooden case, pouch and cleaning cloth. Each pair of sunglasses is crafted natural materials. As such colours, grain and sizes may vary slightly from piece to piece and from the photo shown. As with any natural wood product, there is always the potential for minor imperfections.